Why even talk about cruise travel insurance? Simple. Your family's cruise vacation is great fun and you will enjoy every bit of it, especially if you love adventure, the sea and lots of food. However, things happen and it is always best to prepare for the unexpected. On one of our most recent family Caribbean cruises to Ocho Rios, Jamaica and Grand Cayman, Cayman Islands, we witnessed a family having to leave with a sick member to the hospital. The wife got sick and the ambulance was called. The husband and children followed with luggage and all. I remember saying to my wife then, "I hope that they bought travel protection. That will cover the cost of the emergency evacuation and the trip home by airplane." You might have saved for your Caribbean cruise vacation for over a year and in one moment it could be ruined. 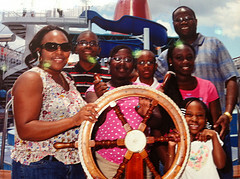 Therefore, covering your family's Caribbean vacation with cruise travel insurance is always a smart move to make. My family has so far taken eight inclusive Caribbean cruises and we bought insurance for most of them. As a family, we strongly believe that one should cover their inclusive Caribbean cruise and give every family member peace of mind. Thankfully, all our trips have been uneventful (we've not needed to make a claim), but having travel insurance added peace of mind as we sailed the Caribbean Sea. There is some safety net built into your cruise booking that covers a fraction of your cruise ticket price up to the point of departure. Each cruise line will refund a fraction of your payment for various reasons, but with cruise travel insurance, you could get back all of your hard-earned money. This depends on which policy you purchase. Generally, whenever you book a cruise more than 60 days before sailing, you may make a down-payment. The balance is generally due 60 days or more prior to sailing (depends on cruise length and cruise line). In some instances, if you choose to cancel your cruise before the final payment is made, you will forfeit the deposit. If you are forced to cancel your cruise before sailing, most cruise lines will refund a fraction of your total payment up to about 14 days prior to your departure date. How do you recover the balance? Travel protection covers that. I thought it would be helpful to give you links to some cruise lines' cancellation policies. This helps you to know how much coverage you have, and why you should consider travel insurance. 6. Royal Caribbean Cancellation Policy. 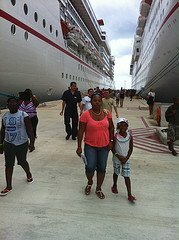 You must know that while each Caribbean cruise line adds certain penalties for cancellation. 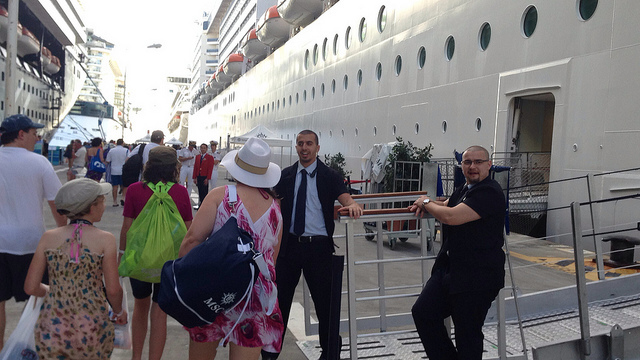 Each company also provides an insurance plan for your cruise. You may choose to buy cruise insurance from your cruise line at the time of booking or before you sail. What I will add, however, is that while the cruise line's insurance coverage may be comprehensive, you may find the same policy at a better price. Always shop around for your travel insurance! Companies such as Travel Guard, offer highly competitive cruise travel insurance and so it pays to compare prices. Let us now look at what cruise insurance covers and therefore why you should seriously consider covering your family cruise vacation before sailing. First, when you purchase a "good" cruise insurance policy not only is the cruise portion of your vacation covered, but so is your entire travel experience. You are covered from the time you leave home until you return. 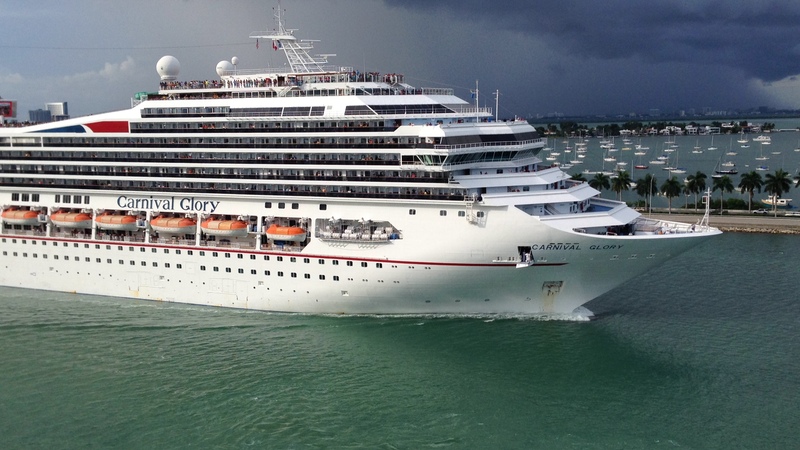 Note: Cruise insurance packages come in different sizes, some costing more than others. As you can imagine, the more coverage you choose, the more you will pay. 8. 24-hour travel assistance; and, much more. You may read the following overview of Travel Guard's popular Gold Plan, to get a better understanding of what travel insurance protection you can and should get for your family. Travel Guard is one of the leaders in travel insurance protection plans and you will find that their rates are very good and their plans are far-reaching. With Travel Guard, children under 17 are covered for no additional cost. Families, take my word for it, a cruise travel protection plan is important! Protect your hard-earned money! Leave home knowing the unexpected is covered. Give everyone peace of mind with cruise travel insurance!